Divine Destiny's official release date is just across the weekend. I'm so excited I can't stand it! And because I adore everyone who supports me, I'm opening up the virtual signing early! Woohoo! You can now visit the Virtual Signing page of my website and order your first edition signed copy of Divine Destiny! Want to meet the author or just catch up in person? Make plans to attend my release party! Saturday, September 21st from 4-6(ish) at The Fat Apple Catering in Downtown Lindale. Darla and her staff are excited about their additions and what better place to celebrate? Divine Destiny will be for purchase and I would love to sign it for ya. Please shoot me an email to RSVP so that Darla can make sure we have enough food and I can make sure we have enough books! Food, Books and Fun- What else do you need? Get Lost In A Story is hosting my release day event on 8/27. Please stop by and say hello! Learn one of my secret fears- you might just laugh. Everyone who comments will be entered to win a FREE ebook! 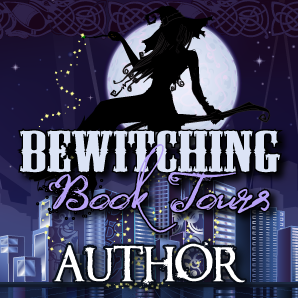 Then on September 16 Bewitching Book Tours will be hosting me for a week long blog tour! More details to come! I am So excited about this release! Have I mentioned that yet? LOL! Avery and Ryse have waited for a long time, but now their story can be told. Here is a little teaser! In this scene Avery and her Shadow Lady, Nikki, are walking through the gardens to exercise her dogs and allow some thinking time. Avery meets the Grand Deity, the top of the Olympian food chain on earth. Keep in mind that Avery is betrothed to his son but has feelings for Ryse. I hope you love Troy as much as I do! Nikki followed Avery outside before directing her to the gardens. Castor and Pollux had been playing with some of the staff’s children but came running when they saw her. Avery felt terrible for not giving them any thought since this morning, but it had been an eventful day so far. Feeling guilty, Avery found a walking path that ringed the lake and wandered off into the forest around the Palace. It seemed the kind of path that would take a while to walk and give her time to think and let the boys run. Little did she know that she would not be walking alone. Coming down the path in her direction were two men. It was obvious that one was a man of power. Even the dogs lowered their heads the closer he came. He had black hair highlighted with gray around his temples. The gate of his walk suggested purpose even in such a casual setting. His features were hard but strikingly handsome. Brown eyes locked on her and it made her heart stop. She had seen those eyes before. “Lady Avery,” he said in an accent she couldn’t place. The man with him, a subordinate, bowed to her. “Finally we meet. I am Troy Castille, the Grand Deity. I apologize for neglecting to come to you sooner. The time of your arrival was late and I did not want to intrude on your settling in. I hope your accommodations are satisfactory?” He absently petted the dogs that sniffed him. “Wonderful. Thank you.” Avery’s throat dried up. She didn’t need to be a genius to figure out this man was the closest thing to a god she would ever behold. As a Master Thracian, Ryse had been overwhelming. This man, this demi-god, made her knees weak and her eyes lower to the ground. “My lord?” She curtsied. Avery wondered if she should have done the same. Damn. “I only wanted some time to think. I’ll go back inside.” Avery sighed, needing the sunshine and fresh air. The dogs would have to run without her. The other man nodded and dropped back to walk by the Shadow Lady. They gave Avery and Troy a large berth before setting off on the path behind them. “Something troubles you?” Troy asked softly. “Speak your mind, child.” Troy’s voice was not commanding, but pleading. “I guess I should be grateful Master Ryse showed up.” Avery felt the need to use Ryse’s formal title with the Deity. “But?” Troy asked with raised brows. “Magic and auras creating physical responses.” Avery shook her head and pulled away to cross her arms over her chest. “That’s not exactly what I want my marriage to be based on.” This might not have been the smartest thing to say to Troy. But he needed to know Avery didn’t want to enter into any kind of relationship if it wasn’t built on a foundation of love and trust. Troy’s head jerked back. “On the contrary. I feel a great amount of love for my wife. Among all the gifts the gods have bestowed upon me, my mate is the greatest. Dyna makes every breath worth taking. She is the reason I am the man I am. I would do anything to please her.” Troy looked down at Avery, who had stopped walking and was gawking at him. “Most men don’t talk like that.” Avery went mushy inside hearing such a masculine man admitting such profound things. Avery thought it was a shame Troy was already married. If there were a way to clone him, she would have done it. If the gods had truly created a mate just for her, he would be like Troy in many ways. And you will all have to read Divine Destiny to find out why this last paragraph makes me smile! Divine Destiny is Taking Flight with PRP Press! In early July I had the privilege of attending the Lexi-Con conference in Denton, TX. My friend and fellow Author C.A. Szarek called me up and said, "We're going to this." And because this is how our random relationship works, I registered immediately. As a first-timer, I didn't know what to expect. I had some reservations about my schedule. But there was this tap, tap, tapping in my brain that wouldn't leave me alone. I weighted the options. The price was great, but would it be worth the drive? It was a full weekend, so I knew leaving the hubby and midgets would take some negotiation on my part. But I learned a while back that when you get that incessant tapping in the back of your mind telling you to take action, it's best to go with it. Mitch Haynes put on one of the best conferences I've been to in a while. All weekend I was surrounded by other indie and self-pub authors, marketing geniuses, book printers, and some of the nicest people I've ever met. I had the opportunity to have dinner and chat with publishers and editors. The classes were informative and small so the door for learning was wide open. Over the weekend I took pages and pages of notes. My head was spinning with ideas and inspiration. It was beneficial on a personal and professional level. One of the best things that I took away from that weekend was a ton of new friends in the industry. I feel truly blessed to have been a part of it, and yes Mitch, it's on my calendar for next year! I think being a Lexi-Con member should be listed as one of my credentials. I survived AND got to see Mitch ride the saddle. Ye haw! Another wonderful thing I gained from Lexi-Con was a publisher! Amanda Thrasher of Progressive Rising Phoenix Press was one of our guest speakers. The moment she started talking about various publishing options and how PRPP worked, I knew this was the cause for the tapping in my mind. Finally! Not two months before Lexi-Con I was tossing around ideas with a few fellow authors about publishing companies and how I would set one up. Not to get filthy rich or make some big name for myself, but to pass on the knowledge and aid new writers who simply need a push in the right direction. There is so much raw talent out there and the industry has over looked it for too long. In true JoAnna Grace fashion, I would help them spread their wings and fly. Because what good is your knowledge if you don't pass it on? Imagine my surprise when I hear Amanda saying the exact words that came from my lips. And if that's not coincidence enough, her company logo is... wings! Perhaps it was Destiny! Those next days held numerous emails, submitting DD, more emails, and a large amount of prayer. But before the week's end, I signed on the dotted line and became a Phoenix author. Divine Destiny will be added to the roster of quality family books published at PRPP. It will be one of their first adult focused novels. Amanda and Jan are working hard to get this book out on my original release date. I believe the word 'miracle' has been used. LOL! I look forward to working with PRPP in the future and am so pleased that they have the same vision of letting authors soar. A bunch of crazy people that kidnapped me and made me laugh until my sides split. I was on the brink of tears. Love these guys: (Me) Chrissy, Lorie, Anna, & Sheryl with the (brave) gentleman from Dark Red Press: John & CL.